It's been four years since Dublin played host to the final gig of Ministry's "CuLaTour", and tonight sees Al Jourgensen and his band of merry-men return to steal from the rich and rock the poor. 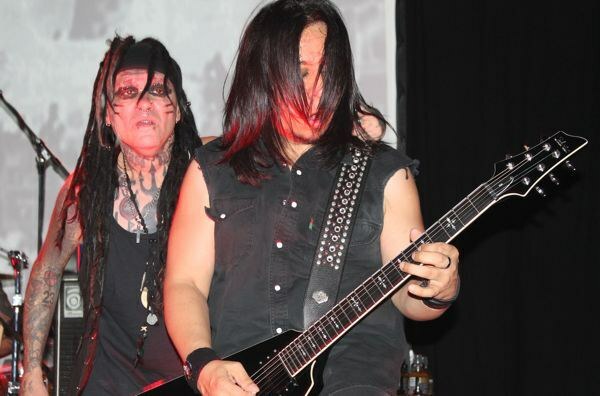 On the 18th of July 2008, Ministry were scheduled to play the final show on their farewell tour at Dublin music venue, The Tripod. The show sold out and the demand for tickets was so high, that in order to satiate their hungry Irish fan-base, Ministry had to return the following night. Before the second show had even started, the fans in attendance had bought every single piece of merchandise available, desperately grabbing whatever memento they could in the belief that this would be the last the world would hear and see of Ministry. Publically, Al Jourgensen (Ministry's leader and only original member) had convincingly confirmed the end of Ministry and as their warped cover of "It's a Wonderful Life" faded out, Jourgensen and the rest of the band left Ireland on a wave of fan adoration; a fitting conclusion to an industrious career. This was a memorable night for Irish fans and Ministry seemed genuinely blown away by the support they received from this tiny country of ours. 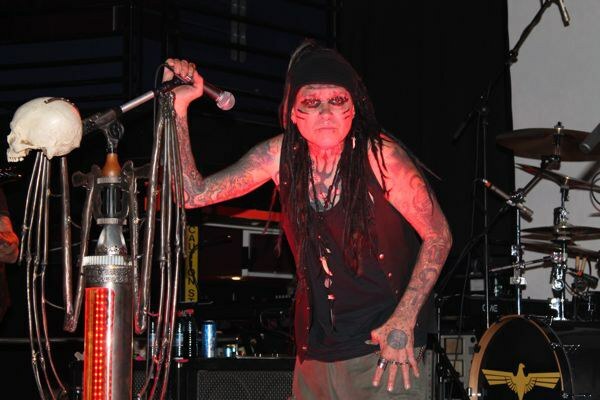 When Al Jourgensen revived Ministry from its drug-induced coma in 2011 and announced that the band were back and ready to record and tour, high levels of excitement grew amongst the faithful in Ireland. Sure, questions of Jourgensen's true intentions for reforming Ministry could be raised, and their reunion album, Relapse, didn't further the band in any way; sitting in the grey middle ground of Ministry's discography, neither eliciting cries of passion or decrees of derision. Yet none of this seems to matter to the fans here in Dublin's The Academy tonight, who, judging by the buzz around the venue, are ecstatic to have Ministry return to Ireland after a four year absence. The choice of having just one support band is a clever move and Djerv are a compelling live selection. Consisting of some live members of Wadruna/Trelldom and a truly charismatic frontwoman by the name of Agnete Kjølsrud (who has previously provided guest vocals for Dimmu Borgir and Solefald), Djerv's dense alternative rock with a metallic crunch goes down a storm with the ever-growing crowd. The majority of the praise can be leveled at the vocal capabilities and stage presence of Agnete, as her piercing stare through blackened eyes connects with everybody in the crowd. From falsettos to (seldom used) gut-wrenching scream, she demonstrates a staggering vocal range. Her passion for performance is clearly visible from the veins protruding from her skull, as she fist pumps and crowd surfs her way through an entertaining set made up of tracks from Djerv's EP Headstone and self-titled full-length. Shortly following this, a screen at the back of the drum-riser kicks into life, showing a video of Jourgensen ranting about the music industry and their tendency to bleed artists dry, signalling the beginning of "Ghouldiggers" off Relapse. The band receives a hero's welcome, with Jourgensen last to emerge. Entering with a smirk on this face, he mimes the words to the diatribe playing out on the screen, all before the song's rapid thrash takes over and subsequently rolls into the infectious chorus of "I'm not dead yet! / I'm not dead yet!" 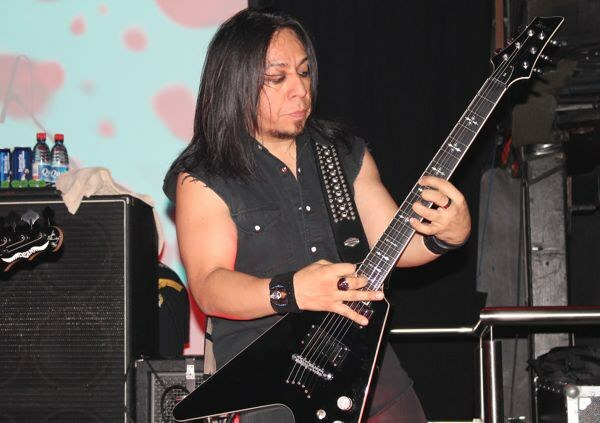 The song sets a celebratory atmosphere and Ministry never look back, continuing forward with the thrashing political drive of "No W", "Rio Grande Blood", and "Señor Peligro", whose dated George Bush-bashing lyrics do little to de-rail the onward momentum. Man-beast drummer Aaron Rossi adds some serious power to the live show (he beats his drum-kit like it slept with his girlfriend) and his animalistic approach ramps up the intensity on songs such as the Helmet-esque "LiesLiesLies", bringing about the first major circle-pit of the night. In direct contradiction to what is ensuing on the floor in front of him, Al Jourgensen seems to be having the time of his life. Clearly intoxicated but totally coherent, he jives and proselytises his decrees of rebellion to the congregation. It's the constant back and forth between Ministry and the crowd that make for such an entertaining show. The gang chants of new track "99 Percenters" were created for the live environment and the crowd throw the responses back at Jourgensen with gusto. Beer is thrown into the pit -- well deserved after the crowd destroy themselves during a resounding version of "Waiting". Jourgensen in turn pours petrol on the fire, urging everyone to "Go crazy, get naked...we don't care!" before the band kick into the flaming chugs and stomping rhythms of "Relapse". The tempo slows with the mostly instrumental "Khyber Pass" and Jourgensen uses this time to approach the barricade to shake hands and greet the fans. While in the middle of the pit, a large gentleman ungracefully attempts to crowd surf, only to fall flat on his face. As "Khyber Pass" ends, Ministry leave the stage to feral cheers, returning moments later to launch into a rousing encore, covering the steamrolling industrial invention of "Psalm 69", "N.W.O. ", and the Rammstein raided "Just One Fix". This trio of choice cuts causes the pit to erupt again and the security guards are put through their paces, unsuccessfully trying to stop the growing number of crowd-surfers. The booming hip-hop inspired beats of "Thieves" gets everyone moving, as does the punked up sections of "So What", at the end of which Jourgensen claims "I love the Irish, man! And I'm as drunk as all you motherfuckers!" There is no doubting this statement, and it receives a rapturous reaction before Ministry ramp up the energy levels one last time during a riotous cover of Stormtroopers of Death's cross-over classic, "United Forces". Ministry leave the stage and the sweaty crowd look visible drained but have just enough left in them to continue to cheer the band until the house lights come on. Ministry's reunion show is a wild affair and exactly what every rock 'n' roll show should be. Tonight has been a complete carnival of mayhem, where all inhibitions are left outside in the real world, and for these two hours, only Ministry exist. Welcome back you bunch of crazy bastards, you will always be welcome here in Dublin.